Was Wahlberg's Time's up contribution too little too late? A new focus on gender and pay inequality in the entertainment industry involving Mark Wahlberg and Michelle Williams has entered the spotlight. Plus, an iconic movie car thought to be long lost turned up in a garage in New Jersey. Vanity Fair's Rebecca Keegan stopped by Take Two to give us the latest on Hollywood business news for the weekly segment, On the Lot. The big story last week involves Mark Wahlberg, Michelle Williams and reshoot fees for the film "All the Money in the World." Wahlberg earned a paycheck of $1.5 million while Williams only earned about $1,000. The result of this coming to light? A lot of backlash. To make things more awkward, Wahlberg and Williams are represented by the same agency, William Morris Entertainment Endeavor. "There are many different factors that go into what people make in Hollywood, primarily what you made before. In Mark Wahlberg's case the kinds of movies he makes like Transformers and Ted are very commercial movies. 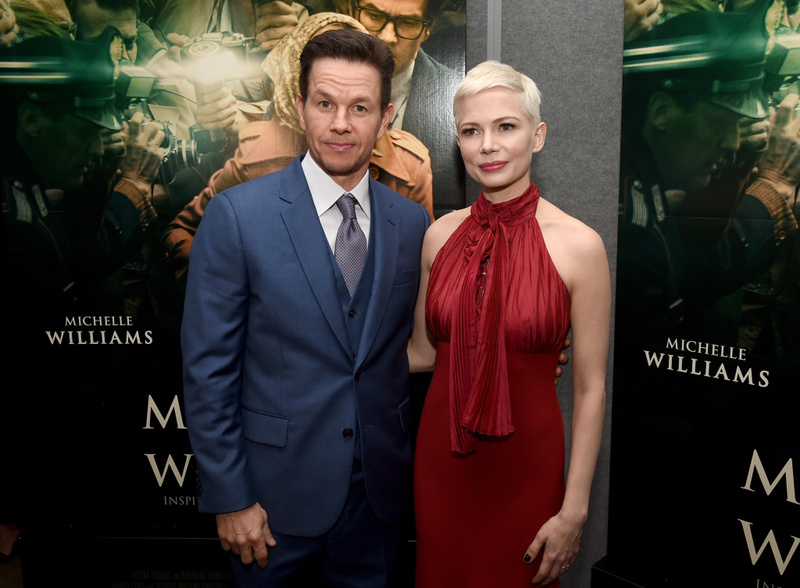 In Michelle Williams case she's best known for movies like 'Manchester by the Sea' and 'Blue Valentine'..."
Williams' performance in those films has been recognized, but they don't enjoy the same success of Wahlberg's films commercially. After days of backlash, Wahlberg opted to donate his reshoots paycheck to the Time's up campaign, an action that drew praise from Williams herself. But not everyone was impressed. Sexual harassment and assault allegations in Hollywood is something we've been covering for months now, and a new group has been outed: stuntmen. Actress Eliza Dushku who, at 12 years old starred in True Lies in 1994, said she was assaulted by her stunt coordinator. In a Facebook post she wrote over the weekend, Dushku outlined in detail that stuntman Joel Kramer molested her in his hotel room. Since the post, co-star Jamie Lee Curtis and director James Cameron have released separate statements expressing sadness that this happened to Dushku while also denying any knowledge of the incident. The long-lost discovery of Steve McQueen's Mustang from the movie "Bullitt" caused quite a stir over the weekend. Thought to be lost, the car was unveiled in Detroit, along with Ford's plans to release a limited edition new Bullitt Mustang. Keegan also spoke about this year's Oscar Awards frontrunners, why Academy members can't take back their votes, and why superhero films are long shots. How MLK Jr Blvd came to have its name, the evolution of protest movements, what's the future of DACA? How protest movements have evolved since Martin Luther King Jr.